Nowadays, mobile is king. According to Search Engine Land, traffic on mobile devices surpassed desktop in 2015. If your page takes more than a couple seconds to load, chances are the viewer is going to get annoyed and give up, resulting a bad user experience. Google has recently come up with a way to help speed up load times and create a win-win situation, and if you get on board now, you will have a leg-up on the competition. AMP stands for Accelerated Mobile Pages. They are mobile pages that are designed to load very quickly due to their simple structure. Let’s say your mobile website is a living room. It’s decorated with traditional interior design – a comfy couch, flowing plant in the corner, drapery, area rug, and a useful yet stylish coffee table in the middle. AMP is the minimalist equivalent. Envision a room somewhere in Sweden, with a concrete floor, a chair, and perhaps a simple side table if you’re lucky. It doesn’t look welcoming or comfy, but it’s functional in the sense that you have somewhere to sit. And who knows, you might find yourself enjoying the simplicity. That Swedish living room is AMP. It strips away everything that makes your page slow to load and provides only the necessities. Obviously, it’s a lot more complicated than that, so if you want to learn even more about AMP, the FAQ section on ampproject.org can provide a lot of further information on the open-source project. The long term goal is for AMP to work with all published content, including news articles, videos, photographs, and GIFS. Currently, the WordPress plugin only helps transfer posts into AMP HTML, not pages. Therefore if you are a blogger, or publish content on a regular basis, you will definitely benefit from AMP. Plus, you will have a big advantage of being ahead of the game, since only 23% of SEO’s have implemented it so far, according to an exclusive study conducted by SEO PowerSuite. If you are worried about how your pages will look after installing AMP, it is a valid concern. This is especially true if you have applied design that is specific to your mobile pages. However, the benefits outweigh the costs. 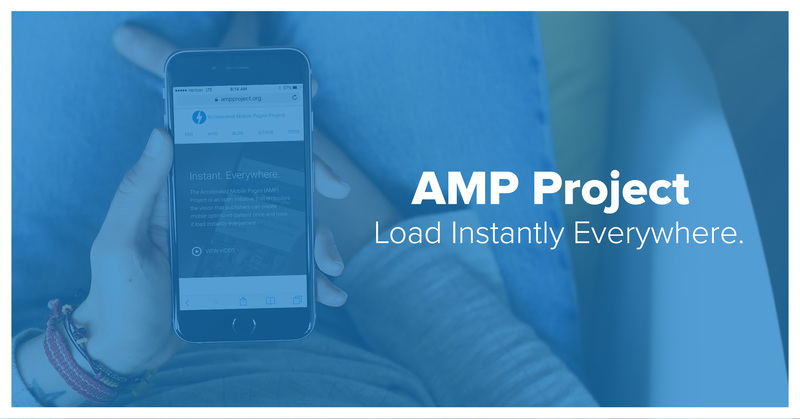 AMP decreases load time and provides a good user experience, which reduces your bounce rate. In return, this improves your long-term SEO. Above is an example of a blog page in its normal format on the left (show in the desktop version) and the AMP version on the right. You can see that the sidebars and widgets have been eliminated, as well as any other unnecessary design elements on the page. What you get is the content, which is why people are clicking on your page in the first place. Mobile trends are skyrocketing and traffic is only going to increase. It’s time to get on the AMP train.